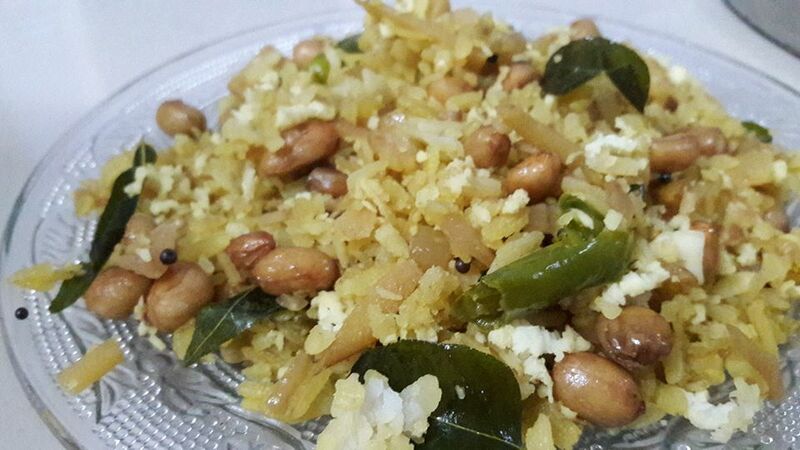 Pohe or Kande Pohe is a typical Maharashtrian preparation. Poha is prepared in various way all over India, but this recipe is a traditional Maharashtrian recipe. Very easy recipe for school lunch box or picnic, traveling ..believe me you will love it..❤❤❤❤❤We use this flatten rice to make Aval, Idli , Dosa, chivda etc.. There are three style of Maharashtrian Pohe, Kande Pohe, Batate Pohe and Dadpe Pohe. Batate Pohe is similar to Kande pohe it is Just added Potatoes in it while Dadpe Pohe is prepared with thin flatten rice. Proverbs 25:27 It is not good to eat too much honey, nor is it honorable to search out matters that are too deep. Rinse and clean poha 2 times. Drain all water and make sure no water remains. Cover and set aside. In a wok or Kadhai, heat oil, add mustard seeds, Cumin seeds. Now add curry leaves, chilies and stir once. when they start to splutter add raw peanuts. Add onions, hing, potato and mix well. Let the onions cook till slightly brown and soft. let the peanuts cook till they turn slight brown (peanuts look brown and crunchy). Add in the washed poha, salt, sugar and mix well. Cover and let it cook for 3 minutes on low heat. Turn off the heat and cover the poha. Keep it covered for 2 to 3 minutes. (This helps the poha to fluff up) – This is a very important step. Use thick poha / flattened rice for this recipe.